Our regular reader knows that I'm a little addicted to paging thru old issues of Technical World Magazine, mostly for the astonishing ideas that were published as tho they were already accepted and in full production. Dies ist nicht so, as quite a few of those ideas were pipe dreams. 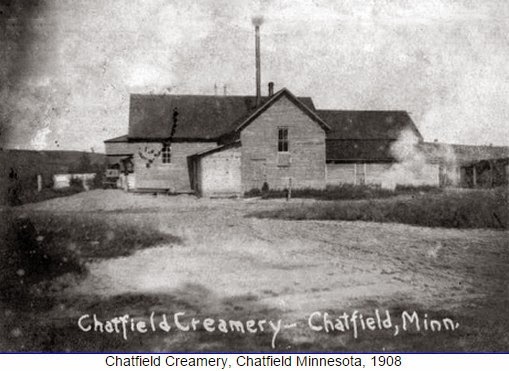 However, check this story of the laundry connected to the creamery in Chatfield, Minnesota in 1914. 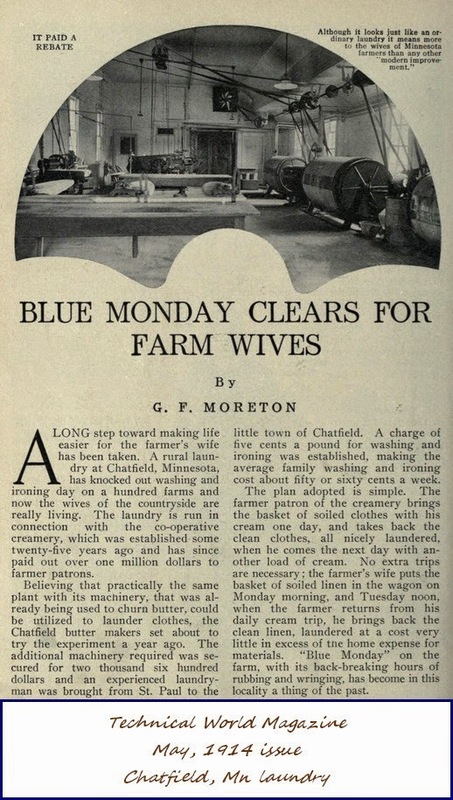 The basic idea made excellent sense, in that creameries had an "engine, water supply, sewer system and facilities for heating water", and as the clip below mentions, this equipment was needed only in the forenoon for processing cream. Why not use it for something in the afternoon? The rest of the Minnesota Farmers' Institute Annual article is HERE, complete with comments from Chatfield farm wives on the next few pages. 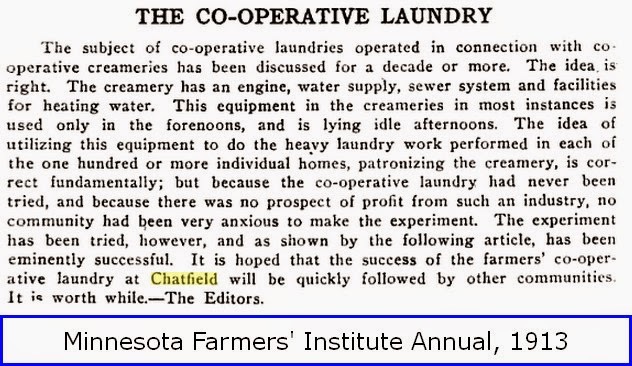 I wondered about drying the laundry, but the article says they had an extractor (rather than a wringer) and two drying rooms. Turnover was usually the next day! 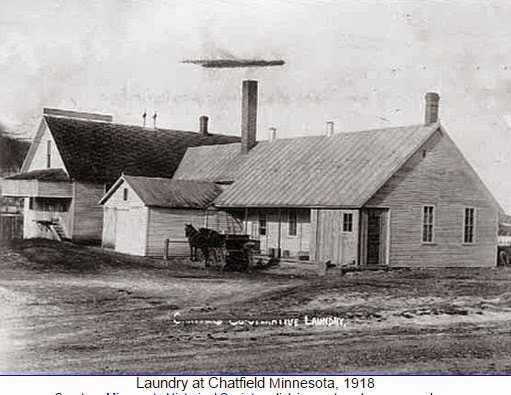 According to the pictures online, the laundry was still in operation in 1918, and the latest mention I found was in 1920, when there were 224 families using the service. Leave a comment if you know more about it, ok?